Weird, Unsocialized Homeschoolers - Kris has a great section of Homeschooling How-to's for new homeschool moms and a fun homeschool humor section (the 10 Commandments of Homeschooling always makes me smile). Living and Learning at Home hosts a weekly link-up just for classical homeschoolers. If you want to learn more about homeschooling with classical methods, Amy has a weekly Classical Mamas reading group where bloggers can link-up and discuss books about classical education. Kentucky Sketches - Tanya's blog is chock full of insightful posts. Two that I really enjoyed - To All the Fine Ladies Who Have Stepped Back from their Blogs and My Life is Harder than Yours. Homegrown Learners - Mary has some great posts about homeschooling the middle grades. I've been looking for more "moms who have been there" now that TJ is getting older and Homegrown Learners is a great resource for that. And if you'd like to learn more about Classical Conversations she has been faithfully sharing her family's journey with that program. Raising Arrows - Amy truly has a heart for families and it's so obvious on her blog. She has a series about homemaking basics that can help get your home back on track. Another great series, just for bloggers - A Christian Mom's Guide to Blogging. Blessed Beyond a Doubt is a great place to find printables and homeschooling resources. Jill graciously accepts submissions and shares content from other homeschoolers with her readers. Classically Homeschooling - Sara's blog is another great resource for classical homeschoolers. I love this post about applying the stages of learning to our parenting. She also has a great post for those who want to begin following a classical model. My Joy-Filled Life - Sarah has a beautiful blog that is just chock-full of great content for moms and families. Each month she shares a great feature for reading and activities with picture books (here's a recent one for The Very Hungry Caterpillar). Aspired Living - Kyle's blog is another great resource for classical homeschoolers. She's a co-host for a great middle and high school homeschooling link up. Her grammar stage series is a great read if you want to learn more about applying classical methods to homeschool subjects. Education Possible always has great ideas for hands-on learning. I love this atlas scavenger hunt and all the great middle-grade content I find there. Besides the blogs above, there are a few places where you'll find great free content and printables. 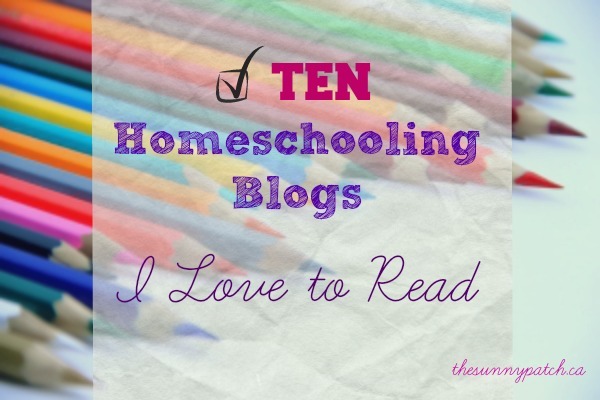 Do you have a favorite homeschool blog?